Nothing stays pristine forever, especially if it is subjected to weather elements day in and out. Pavers, durable that they are, are no exception. 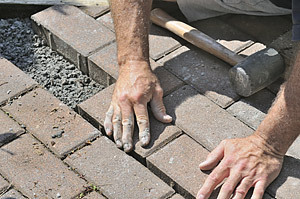 Over time, pavers shift and settle, bulge, crack, flake, or peel. Stains, efflorescence, and weed growth between joints can also mar the appearance of your hardscape. Prompt paver repairs can restore your driveway, walkway or patio back to its beautiful state. You can do it yourself. However, you might end up doing more damage than good. To avoid further damage to your pavers, better hire a reliable company like SNS Pavers. 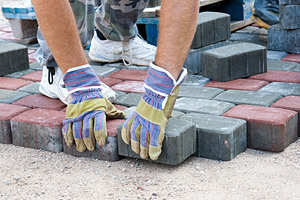 We have been repairing all sorts of paver problems for Florida homeowners since 2002. From removing stubborn stains to replacing broken or cracked pavers, we take pride in our ability to bring damaged paver surfaces to new life. Our company encounters all kinds of hardscape restoration projects every day. Through the years, we have learned that each repair job is unique, and so we vary our repair solutions appropriate to the situation. We specialize in repairs and maintenance of all kinds of pavers, including travertine, concrete, and brick. Whether it is installed in your patios, pool decks, walkways, or driveways, we can handle them all. We can also replace and repair copings, tiles, and retaining walls. Paver Repair and Replacement. Over time, the landscape surface shifts and settles, causing various paver problems. Before starting a task, we take a look at the root cause of the problem in order to deliver the solution that will prevent the same problem from recurring. Repairs may entail replacement of broken pavers or lifting of settled areas. If some installed pavers need to be replaced, we look for the closest match to your installed pavers. We have a strong network of paver suppliers and manufacturers, making it easy for us to find the needed materials. Paver Cleaning. Over time, pavers become dirty and discolored. Stains from oil and grease, as well as natural contaminants like mosses and algae accumulate on the surface and make your paver look unpleasant. Different paver materials have different cleaning materials. High pressure cleaning method, for instance, is essential for concrete and travertine pavers but damaging to brick pavers. It's important to work with a cleaning company, who knows pavers very well. Our solid knowledge of every kind of paver material and state-of-the-art cleaning tools allow us to clean your pavers to the last detail without causing any damage. Paver Joint Resanding. Resanding is also crucial to maintaining the integrity of your pavers and to avoid frequent repairs. Sand between joints helps keep the paver surface stable by keeping the paver units locked in position. However, outdoor elements, such as rain and weeds, cause sand to displace. Before filling the joints with new sand, we clean out the old sand and remove weeds. Then we sweep off the debris and seal the surface to lock the pavers in place. Paver Sealing. After cleaning your paver surface of efflorescence, stain, and other dirt, we can apply sealant on it. Sealing not only adds aesthetic appeal to your pavers but also protects them from spills, scratches, stains, and water damages. Outstanding results and total customer satisfaction. These are our guarantee to all of our clients from Broward, West Palm Beach, and Martin Counties. Call us today for free estimates or other concerns that you may have regarding our paver repairs.